The Academy offers a variety of training subscriptions for individuals, universities, and organizations. 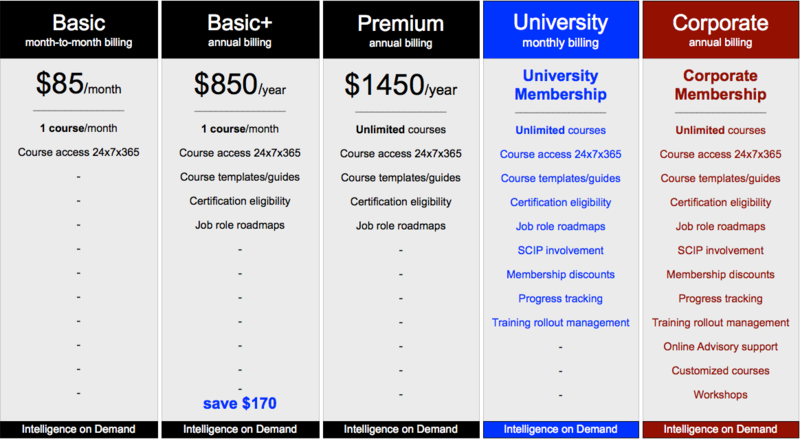 Below is a high-level diagram and a detailed diagram depicting the various levels and the unique offerings of each as you consider which subscription works best for you, your university, or your organization. 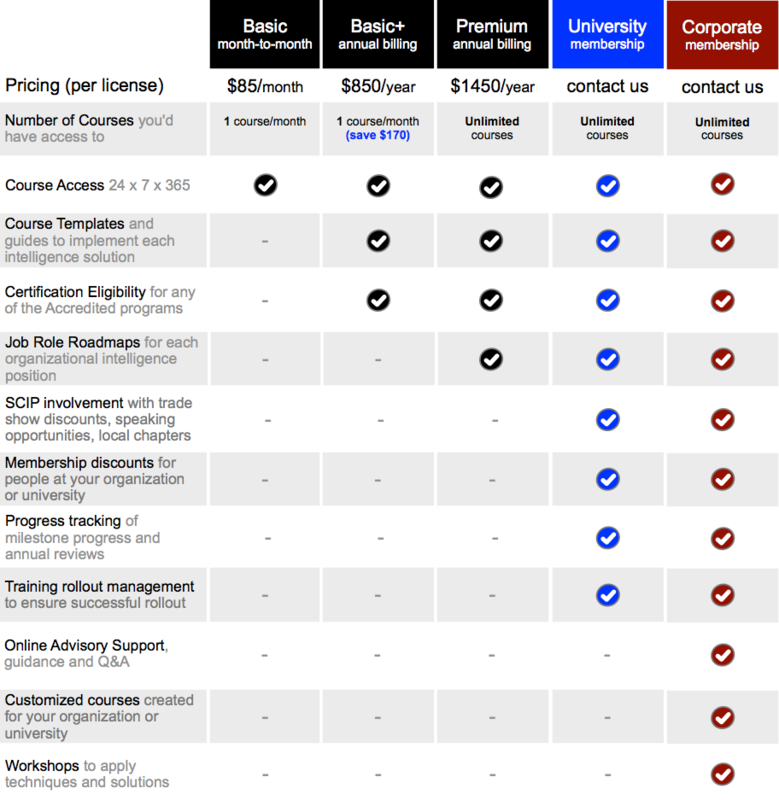 If you select a subscription level that allows you certification, the cost of certification for any of our Subject Matter Expert (SME) roadmaps is included in the subscription price. Click on "subscribe" at the top of the page to make your subscription selection.